Our Civil Engineering department are capable of handling a vast variety of Civil contracts throughout North Wales & the surrounding areas. Our experienced personnel . . .
We are experienced commercial contractors in North Wales, and we have extensive experience in constructing and erecting a wide range of Commercial buildings, specialising in . . .
Alwyn Jones specializes in Diamond Cutting and Drilling, we have all of the equipment and experience to deliver intelligent solutions to keep your project in track . We have a wealth of experience working in some of the most remote and exposed locations. We have well-established protocols and health and safety procedures to deal with this. 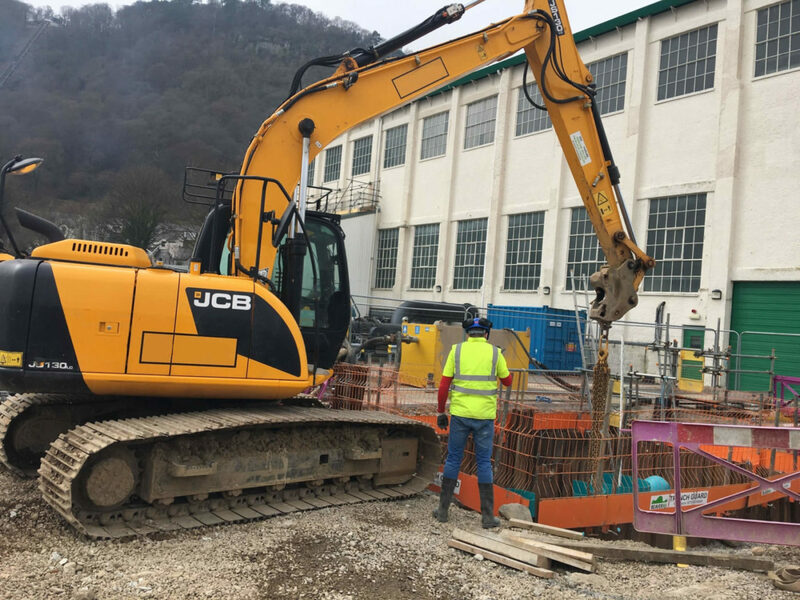 Alwyn Jones Ltd. was set up in 1983 by Alwyn Jones, and has grown successfully over the last 34 years to the present capability spanning various construction disciplines, and is now regarded as one of the top civil engineering contractors in North Wales. We have completed a diverse range of projects over the years, ranging from renewable energy working in hydro power stations to leisure and amusement parks complete with all services. We put the highest level of importance best practice with regard to all health and safety, and environmental matters and the good communications that facilitate this. Please have a further look at what we offer and do not hesitate to contact us, should you have any enquiries. For the recent project information from Alwyn Jones Ltd, please visit our Client Gallery page which is updated regularly with the latest building contracts completed. Do You Need Help From Alwyn Jones?